If you dream of adventure, head to the Porkies and dream in full color. 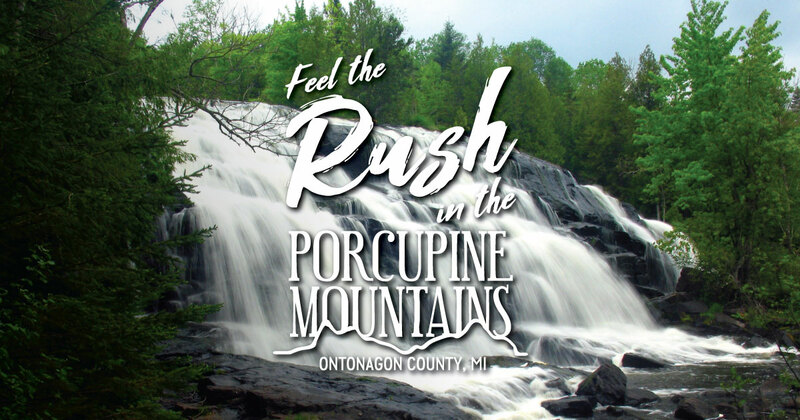 There’s plenty of beauty to explore in Porcupine Mountains and Ontonagon County, and this is one of the best times take a fall color tour. Our trees are ablaze in brilliant shades of red, yellow and orange, and because of our location near Lake Superior, the leaves here stay brighter, longer. Take time to visit one of our scenic trails to soak in all of this fall beauty. Here are some fall hikes to enjoy in the Porkies. See a trail map that shows the locations of the below routes here. Trace the park’s rich copper mining history with this scenic mile-long trail that passes over the remains of copper mines that date to the 1800s. Interpretive signs help tell the land’s story as you complete the loop. This trail will take you to a picturesque trout pond, passing a stand of virgin pines. You can pick up this 1.2-mile trail at the Summit Peak parking area. It crosses the Little Carp River and some wetlands before connecting to the Little Carp River Trail. This trail is considered one of the most scenic in the park. It passes waterfalls, rapids and old-growth forest and spans 11.3 miles. This trail passes stands of virgin hemlock before arriving at the mouths of the Big and Little Carp rivers, where there is access for fishing. The trail covers three miles. Take in impressive views of Lake Superior as you hike this long, remote trail. You may see more wildlife than people on this scenic trail. There’s plenty to explore on this path; at 17.1 miles, it’s the longest trail in the park.